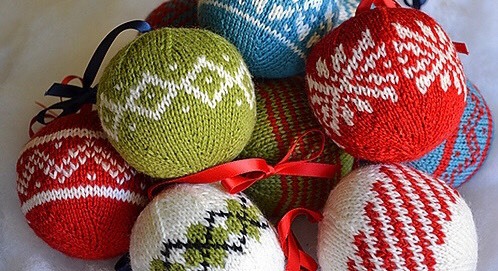 Please plan to join in the festivities at KNOW on July 30 at our “Christmas in July” knit-in. 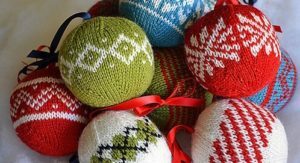 We will be knitting and crocheting seasonal decorations and tree ornaments as we get a head start on the Holidays! Bring your favorite homemade decoration to share. We will have patterns and plenty of Knit Picks worsted-weight yarn available, in addition to a supply of beads, sequins, ribbon, stuffing, and other trimmings you may use to decorate your finished project. Just bring assorted knitting needles (sizes 5-8), a crochet hook (size F), and your bag of notions. Holiday goodies will be served, so save room for dessert! We will also be voting on Chapter Officers to fill positions for the coming year, so come prepared to participate in the voting process. In addition, we will be collecting dues. You may pay your annual membership fee at the meeting by cash or check ($25.00). Many of our members arrive at the restaurant early to have dinner. We encourage this custom, as Spring Creek Barbecue has never charged us for the use of their conference room, and we appreciate it! Everyone is welcome. We look forward to seeing you there!